Warm welcome to the west! The Northern Beef Futures project welcomes to the Broome operations Kevin Bell and Lauren Gibson. Kevin and Lauren will be assisting producers in the Kimberley and Pilbara regions with practice change to improve productivity and profitability. Kevin has extensive experience as a livestock consultant and Lauren has a background in farm consulting and teaching. 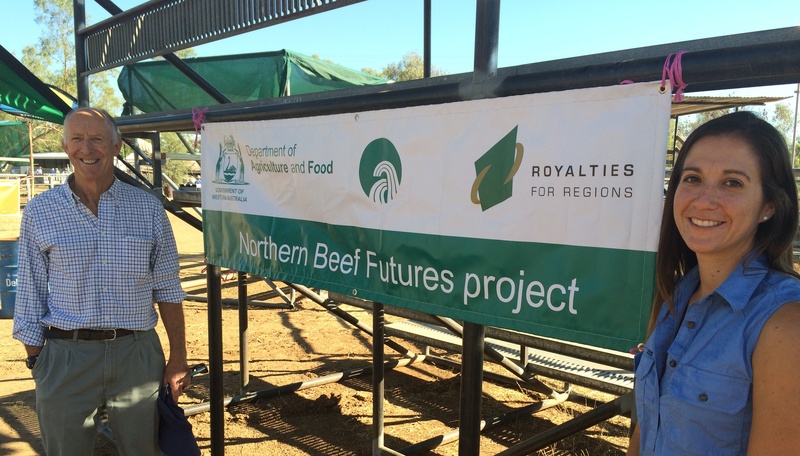 You’ll find more information about the that Kevin and Lauren are involved in on-station work in the September 2015 Issue of the Northern Beef Futures newsletter. Northern Beef Futures project officers Kevin Bell (L) and Lauren Gibson (R).